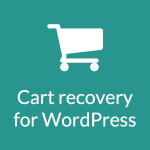 Free abandoned cart recovery and tracking on your WordPress store. 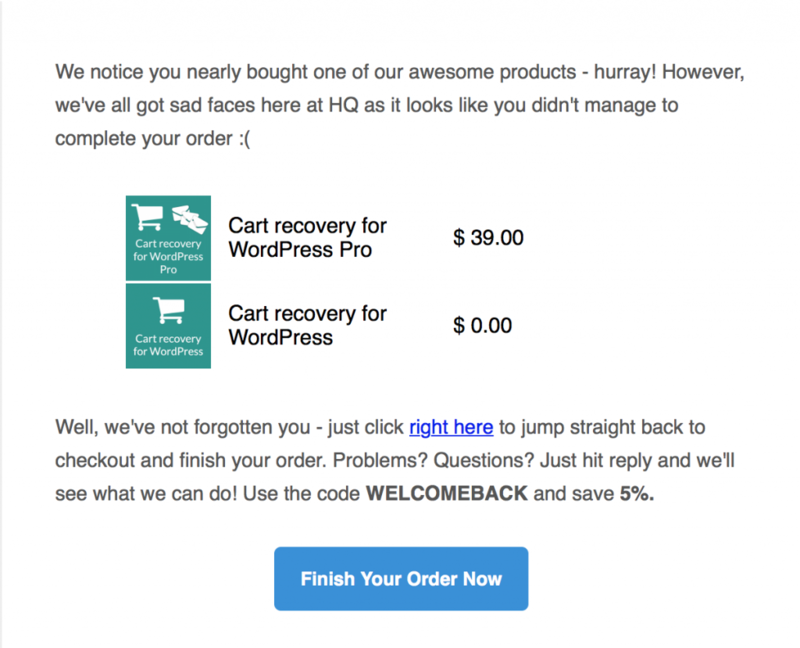 Track abandoned carts, view stats in your WordPress dashboard, and configure your recovery email. Nice little pluggin early days yet to get the best of it yet but hopefully worth while ? Change: Expire old carts if due before attempting to send to them. 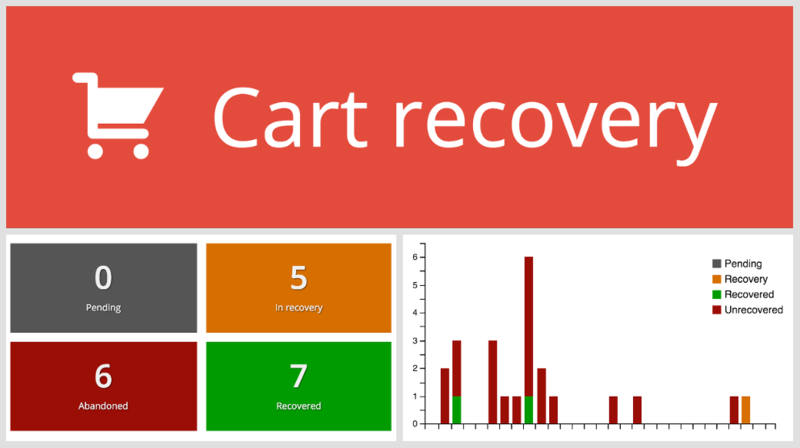 Change: Abandon carts if user empties the basket while it is in recovery. New: Additions to cart API for Pro features. Change: Carts won't be captured if the customer has a very recently completed cart. Improves performance with slow gateways. Resolve issue with RestrictContentPro integration. Change: Status graph takes site timezone into consideration. New: Store the logged in user ID in cart meta. New: Add filter (crfw_send_campaign) that allows sending of a campaign to be blocked. Do not keep re-trying delivery if campaign can not be sent. Try a maximum of 3 times. Fix issue where cart details weren't always captured when site/admin are on different HTTP schemes. 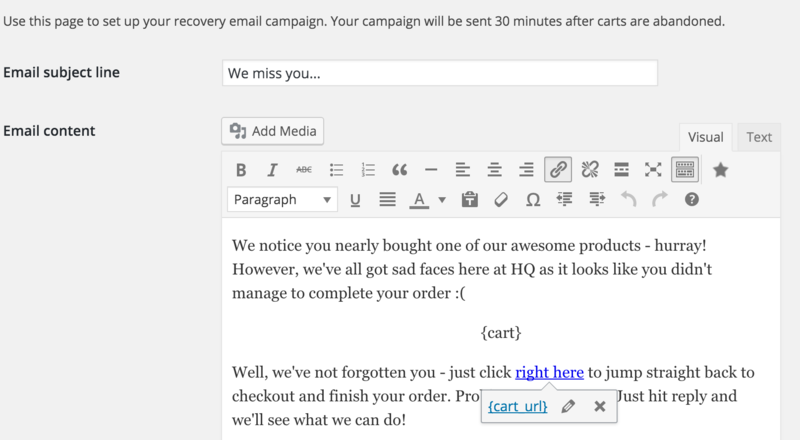 Fix issue where email addresses containing + symbols weren't brought back to checkout reliably.